It’s always exciting to acquire a new recipe book for my ever-expanding collection. And I was certainly inspired as I started paging through Savage Salads to decide what to cook for dinner. The book is the brainchild of Italian chef Davide and Swedish food expert Katrina and the recipes came about because of their highly successful market stall in London. They came up with the idea after noticing a distinct lack of healthy food options in London’s many food markets. And they also cleverly decided to offer a range of salads that were more interesting than your average leafy collection, as well as being substantial enough to leave you full and satisfied. The book offers so many choices, it really does take salad to a new level. It’s divided into the four seasons and encompasses a mind-boggling array of ingredients, all of which are easily available in the UK. The recipes are clearly laid out and easy to follow and I loved the mouth-watering photography. So far I’ve tried three recipes, all of which have got a huge thumbs up from everyone who sampled them. 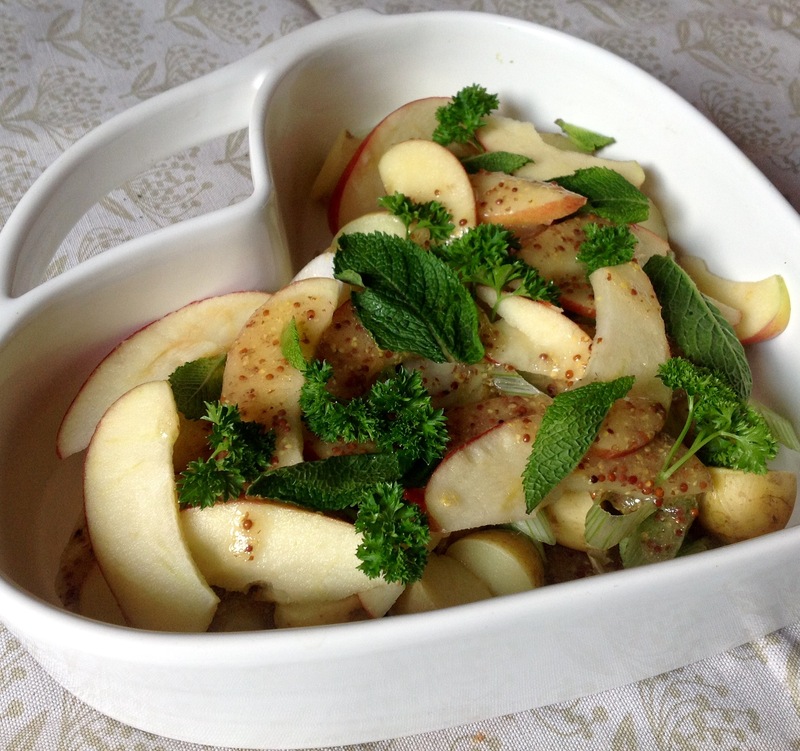 From the autumn section I made this fabulous potato salad with new potatoes, apple, spring onion and wholegrain mustard. Such a lovely sweet and sour combination with great crunch. It was served with a perfectly grilled pork chop. 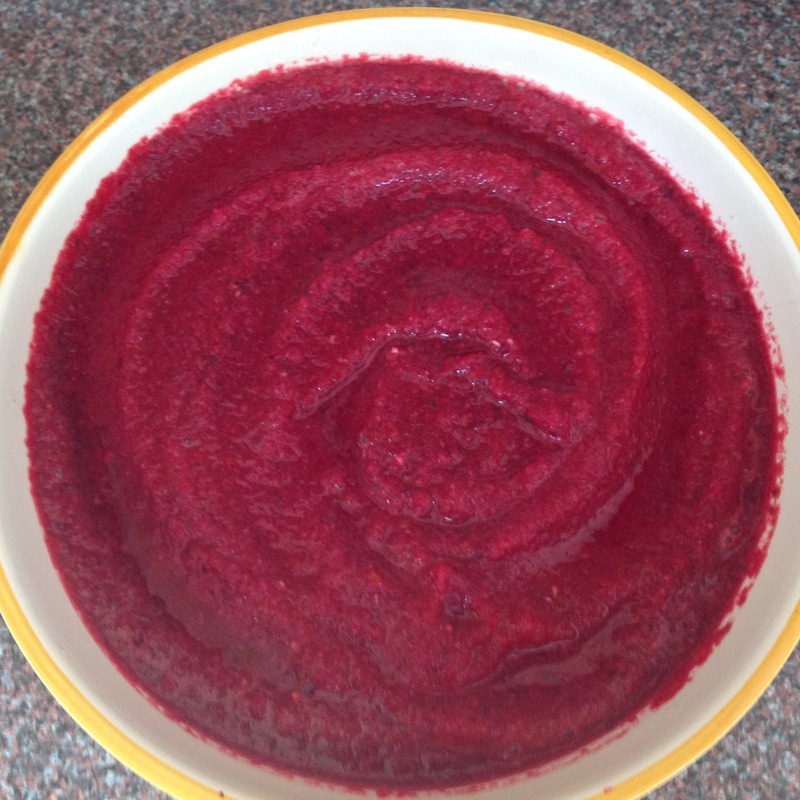 I love gazpacho and I love beetroot so it seemed a no-brainer to try this. Okay it’s soup, the book gets away with this by including what they call a Blitzed Salad at the end of each season. This is summer in a bowl, beautifully pink, sweet and health giving. My third choice was from the winter section. No, I’m not confused it’s just that summer hasn’t really turned up so I’m still looking to cook comfort food. 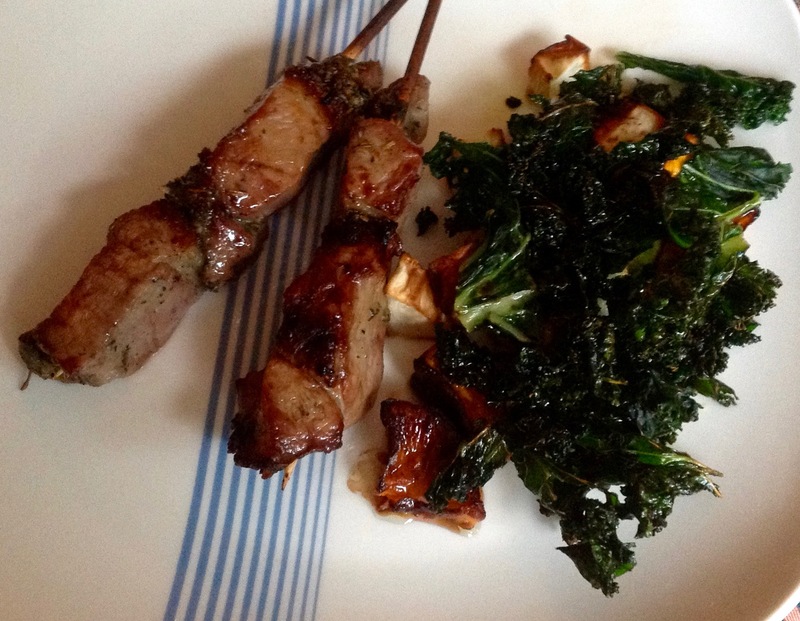 Little lamb kebabs marinated in garlic, lemon juice and rosemary are served with roasted sweet potato and turnip and served with crispy kale. Wow! I’m making crispy kale all the time now, it’s so easy and tasty and so full of goodness. There’s also a range of dip, dressing and mayonnaise recipes to try out. I’m loving the sound of smoked paprika and lime hummus, or maybe a bit of watercress mayonnaise. Salads are certainly never going to be boring again – the book certainly lives up to its strapline: Fierce Flavours Filling Power-Ups. 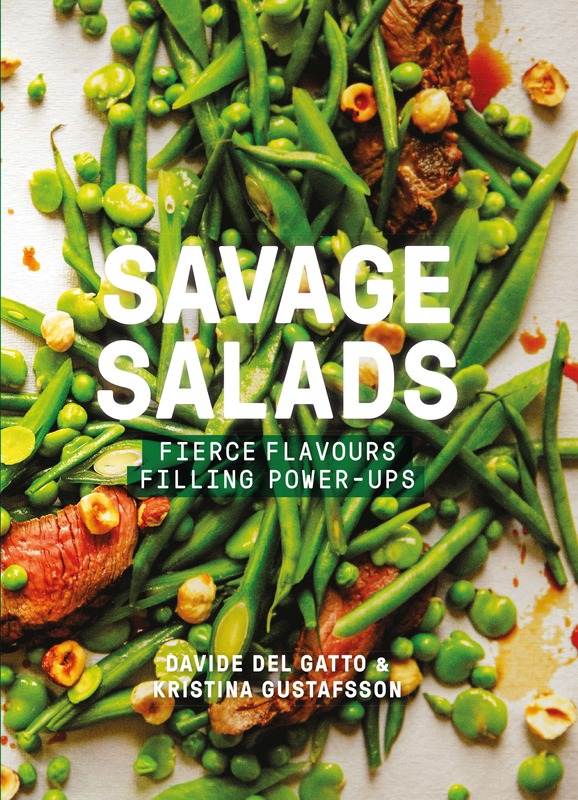 Savage Salads by Kristina Gustafsson & Davide Del Gatto, photography by Kim Lightbody, is on sale now. Published by Frances Lincoln (£16.99). More information on the book can be found here. If you don’t want to cook them yourself (though I really recommend you do), you can visit them at one of their stalls. You will find them in Berwick Street in Soho from Monday to Friday, Stratton Ground on Victoria Monday to Wednesday and at St Giles in field market in Covent Garden every Thursday. Can happily send you over some scans. Think you would love the recipes.